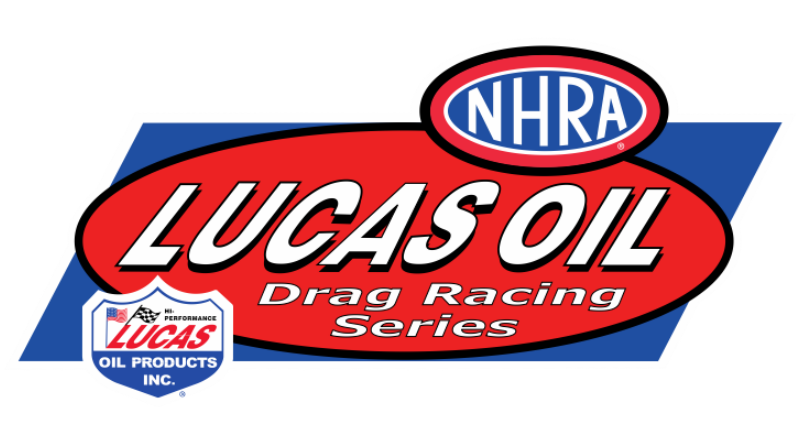 WEST VALLEY CITY, Utah – One half of the Division 7 Lucas Oil Drag Racing Series double-header race weekend concluded on Friday night. With national championship hopes on the line for a number of racers, the double-header weekend provides two chances to gain valuable points. Leo Glasbrenner, the Stock Eliminator winner at the recent Toyota Sonoma Nationals, picked up the win in Super Stock. Glasbrenner defeated Rich Pinoski in the final round. In the national championship chase, No. 6 ranked Mike Cotten gained some ground on the points leaders after he reached the semifinals. On his path to the semi’s, Cotten took out No. 5 ranked and defending national champion Justin Lamb in the second round. Lamb still gained 40 points towards the championship since he is claiming full points at both races this weekend. The Stock final came down to Brad Burton and Brian Sanderson. Burton, a former national champion, won easily in the final win Sanderson missed the tree. Burton, already ranked in the top 10 nationally, should more up the standings several places after his big win. Justin Lamb and Brian McClanahan made large strides in the national championship chase as they both went to the semi’s in Race 1. Lamb, the defending national champion, should move into the top 10 nationally after his late round finish. He also will claim full points at Race 2 which should put him well into the top 5. McClanahan’s semifinal finish should move him into second place in the national standings. Race 2 could go a long way towards determining the national champion. Recent Mile-High Nationals Super Gas winner Michael Miller turned it red in the Super Comp final giving the win to Justin Morgan. A deep run by semifinalist Greg Krause should move him into the top ten in the national standings. Krause was the Super Comp winner at the recent Northwest Nationals in Seattle. Veteran Super Gas racer Val Torres drove to the Super Gas win defeating Craig Maddox in the final. Maddox had the advantage at the tree but took too much stripe in the breakout loss. Aaron Kinard’s semifinal finish should be just enough to move him into first place in the Super Gas standings. Kinard lost a close double-breakout race in the semi’s to runner-up Maddox by just .001. Roger Sauder captured the Super Street title with his final round victory over Justin Cooper. William Carnell used a killer .007 reaction in the final round to defeat Logan Warr. Chris Newman was trip-zip at the tree in the final round to pick up the Top Sportsman trophy. Newman defeated Bart Smith in the final round.